The tiny Xai Xai Village along the Limpopo River is home to some of the last remaining Bushman, otherwise known as the Basarwa people, in the world. In 2001 Botswana began a national ecotourism strategy that was aimed at conserving and sustainably developing resources and developing jobs and tourism income. Community based tourism began in the 1990’s. 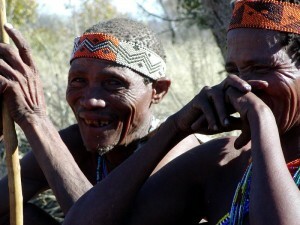 This meant that local Bushman could make a profit out of the land and tourism which it generated. Community tourism made the decision that they would move bushman to conservation areas. One of these areas is the Xai Xai Village. Bushman can live in these areas without outside influence. This was also used as a means to empower these communities to take control of their land and tap natural resources. Community Based Tourism also aimed to encourage bushman to acquire skills and tap the potential economic power of the land they lived on. The Xai Xai Village is a beautiful representation of how the Bushman have lived for hundreds of years: the original hunter-gatherers who live the true experience of the circle of life. These people live relatively undisturbed and traditional lives. The laws that prescribed the community based tourism programme state that the Bushman now own the land they stay on. They take you on horse back rides along the Aha Hills. They also let visitors stay with them in camps over night where they show you awe-inspiring stargazing opportunities. The milky way is clearly visible and shooting stars are a constant occurrence, yet they are breathtaking every time. 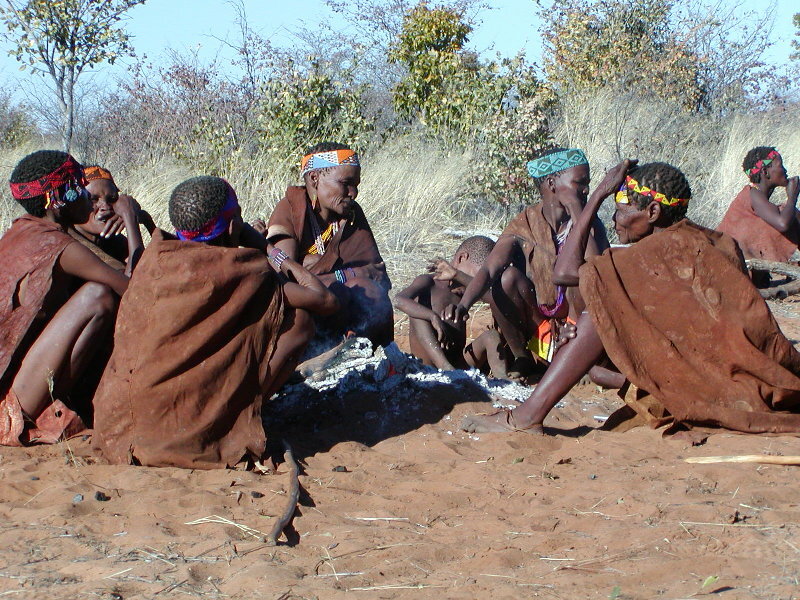 The bushman also offer bow-and-arrow hunting, gathering veld foods, traditional dancing, singing and story telling, and an exceptional exploration of the Gcwihaba, also known as the Drotsky’s, Caves. You will get the opportunity to see life in a way that has been hidden for generations. These people live simple yet totally sustainable lives and providing an alternate way of connecting with the world around them. 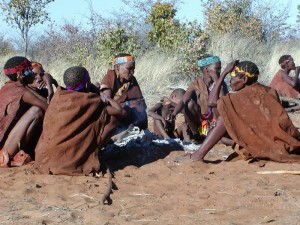 They are able to live entirely off of the land where they spend their days living just like Bushman did hundreds of years ago. Many travelers who experience this way of life, whether for an afternoon or for a week at a time, say that their lives are changed. They see life in a different way, more precious and basic. They realise the way that they live may not have positive effects on the world and on themselves and they want to change. Some people go on a Buddhist getaway, others come and live with the Bushman of Xai Xai. You can fly into Xai-Xai, which takes around 40 minutes by light plane, or take a 6 hour drive from Maun through Nokaneng and Quangwa. You will need a 4×4 vehicles in order to make this journey. The landscape is very barren for the entire trip and often you can so the entire trip without seeing another person. It is a good idea to ensure that your vehicle is in good condition and to set an expected arrival time. This will alert the people expecting you if something has held you up during your travels there.